Home Secret What The New Domain Fast Adsense Approval Secret! New Domain Fast Adsense Approval Secret! So many successful blogger with adsense, but also crowded the fall and discouraged because their account were banned, the lack of visitors and minimal income. It all depends on your efforts to improve your blog perfomance and your patience, because there is no instant success in this world except by way of cheating. How Did I Get An Approval? So at this time I want to share my expereience with an Indonesian blog belongs to me about google adsense approval process in just a week with a new free domain, yes as you watch www.emosianisme.ga is an indonesian language, my original plan I would buy dot com or dot net, but I changed my mind and take the dot ga free domain for a year! Many people told me that the free domain or new domain will be difficult to be approved by google, but my experience has denied it all, there may be some free domains such as dot tk is hated by google, but why google accepted dot ga ? whereas dot ga itself is still the same domain services with dot tk. I do not know the answer, but I myself assume pretty crazy, maybe google like dot ga because --ga-- abbreviation of Google Adsense hahahah lol. You can get a domain dot ga HERE. In addition to free also the process is quite easy, my experience after I install that new domains to replace blogspot subdomains on the same day I signed up adsense. Because my blogspot earning tab is still locked aka not eligible. Hose 4 days later my adsense application reply me, they answered NO ..! adsense rejected me, so it is naturally reasonable because my blog was filled with garbage tutorials oppose such against google policies like hacking tutorial, cracking problem and even I keep Credit Card data in it! Then I clean my blog from existing waste and changed the template. Furthermore, do not forget I submit it to google webmaster and install the sitemap. Though there are a lot of junk on that blog which violates the TOS of google like garbage article in old post to the another post with hundreds of images without explanation, but I am determined to apply for the twice. In some ways I was impatient and I like a little pushy hahaha. 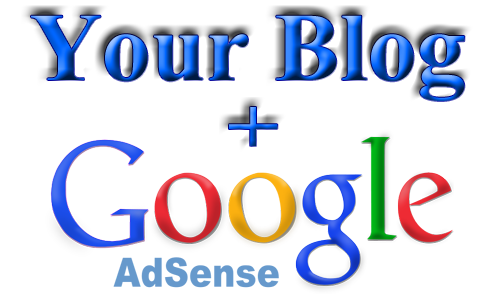 Then I registered again that blog to adsense with three Gmail accounts at once! only in the two-day google send me email that my blog is fully approved! <---- Only in a week! There are many factors why google adsense approve submissions for non-hosted account, once I figure out, it turns out that is considered by Google is high quality content articles! yes google love unique content and not plagiarism, then the length of the article. Including to my knowledge if the google machine is crawling your content of your blog, and if it found the article very shortly then believe me the article would be in a far away from position of google search process, because Google considers a blog that contains only short writing is spamming. So for all the articles may not be too long that can make people bored to reading it. Do not be too short and if you copy other people's pictures do not forget to include the source. 2. The highly paying of CPM and click depend to the Keyword and Niche / Topic of your blog and also visitor traffic, derived from the value of the highest click keywords like insurance, Health, Loans, Credit or SUV Car, and absolutely organic visitor country as well as the US and Canadian visitors. 3. The number of visitors, this is an absolute factor of high adsense income, and this is also the hardest challenge for bloggers, in addition you have to wrestle with SEO techniques on page or off page, backlink, blog walking and also you have to have patience to stay diligently write and post articles. 4. The position of ads is crucial revenue, the best ad position is above or below the title, under the post even amid of the post. 5. Never use weird the technique of cheating, because if google caught your cheat then your account will be permanently banned and of course you will lose the income. Hopefully this article will benefit to all of you who are a blogger or will have a plan to build a blog. And thank you. Anyway,, if you have thoughts about aprroval adsense or other relevant issues, please share your experiences by commenting below.